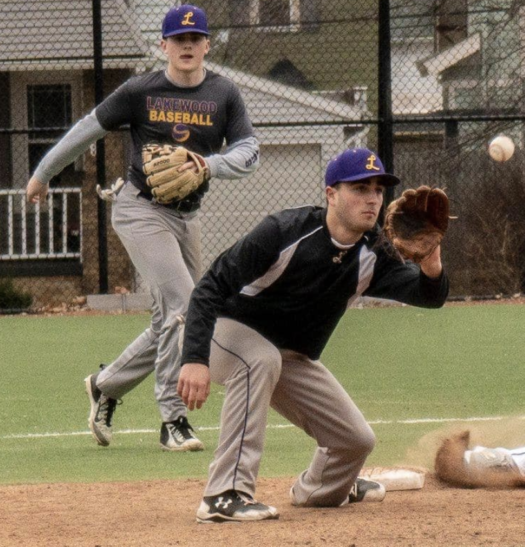 Big day for the Lakewood High School varsity baseball team as they beat Amherst 3-0. This was a huge win and great start to their first week of games. Tuesday, March 26th they played North Royalton and lost 3-1. The Rangers are now 1-1 on the 2019 season! Senior Armani Adames pitched a shutout game and pitched the entire game. Outstanding performance by him and the defense as they backed him up with tremendous outfield plays. Adam Hascher made multiple great catches that prevented the Amherst Comets from getting close to the lead the Rangers had. On the other hand, great plays by everyone on that defense as they played as a team. The game was held at 1-0 until we made it to the final inning. James Morrissey was the leadoff man for the inning and hit a double to start off an electrifying inning. Adam Hascher had a key bunt right after the hit and got a single off of it. Sending James Morrissey to third base. Senior shortstop Jared Yocabet hit a double to the left field gap and sends Adam and James to home to score 2 more for the Rangers. Lakewood is up 3-0 and Amherst gets their last at bat. The amazing pitching and defense closed the game out and beat Amherst 3-0. A team that has been very successful in the past few years. The Rangers are starting their season off right. It’s gonna be a good one Lakewood fans. Next game is at LHS Turf at 7:00. Friday, March 29th. Be there.